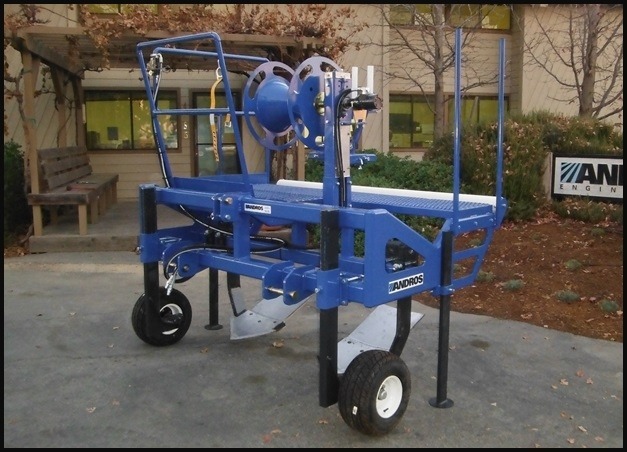 This equipment has been designed for drip tape users who need to remove buried tape from their field for disposal. The heavy-duty design provides long life under adverse field conditions. 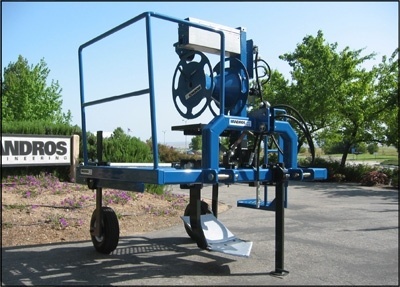 Equipped with a standard undercutter this machine will dig to a maximum depth of 10-inches and wind up tape into a dense coil for easy collection. Able to extract to a maximum depth of 10-inches. Operator control of tape tension and speed. Standard unit will retrieve 1 row. Additional row spacing and number of lines retrieved available upon request. Powered by tractor auxiliary hydraulics. Helps eliminate tape trash in the field.